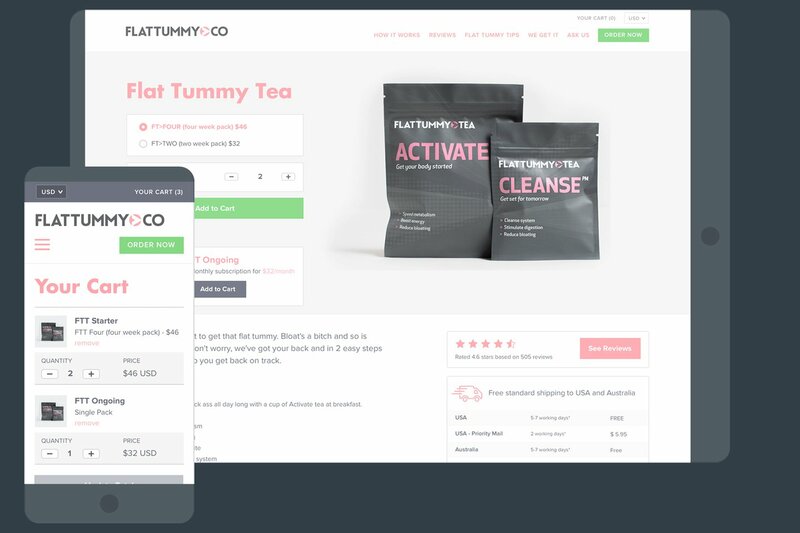 Shopify Plus theme design for Flat Tummy Co.
Flat Tummy Tea understands the power of digital and sell large volumes to international markets. Since 2013, we have helped them develop a custom Shopify Plus ecommerce website and add custom features and functionality to their website. This project is a great example of our team’s Shopify expertise, and also the flexibility and scalability of the platform itself. Shopify is ideal for custom modifications which is one of the reasons we chose it way back in 2010. We were first approached by Flat Tummy Co way back in 2013 when it was only 18 months old and then called 'Flat Tummy Tea'. 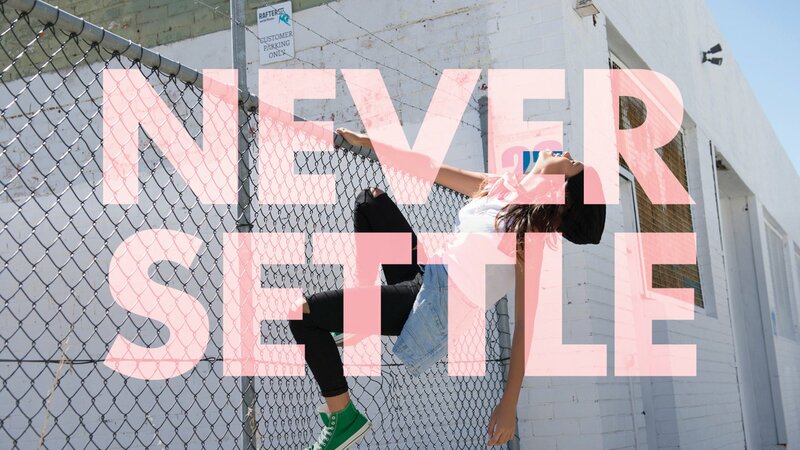 Even as a young start-up, the business was achieving great things with significant revenue and the majority of their market in the USA and Europe. We worked with the business owners to refine their communication strategy and create a new visual campaign that spoke more directly to the right target market. The success of that project led us to the opportunity to transition the already highly successful ecommerce business to a full custom designed solution. We chose Shopify as our only ecommerce platform in 2010 and already in 2013 we had a high level of experience in customising the design, adding features and functionality and ultimately improving ecommerce sales for our clients. Flat Tummy Co were unusual because they had a very small set of products, just half a dozen or so, and a very clearly defined market - young women. Most businesses that are succeeding with their Shopify ecommerce businesses will reach a point where their ambitions and requirements will move beyond the theme website they launch with. This is the perfect stage for The Cut's team of ecommerce experts to work with the client to plan the new interface based on meeting their business objectives and creating an ecommerce website that is designed specifically for their customers, and the products the business offers. 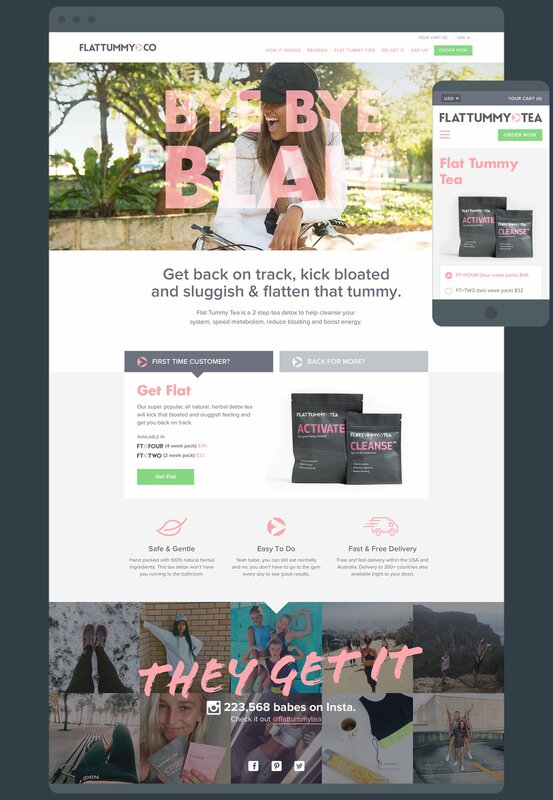 This was the case with Flat Tummy Co and the first major project to design a new, custom ecommerce website for them involved close client collaboration as we planned new user experiences and custom interface designs. Our team also helped the client with in depth app investigation as we took an agile approach to the design refinements. 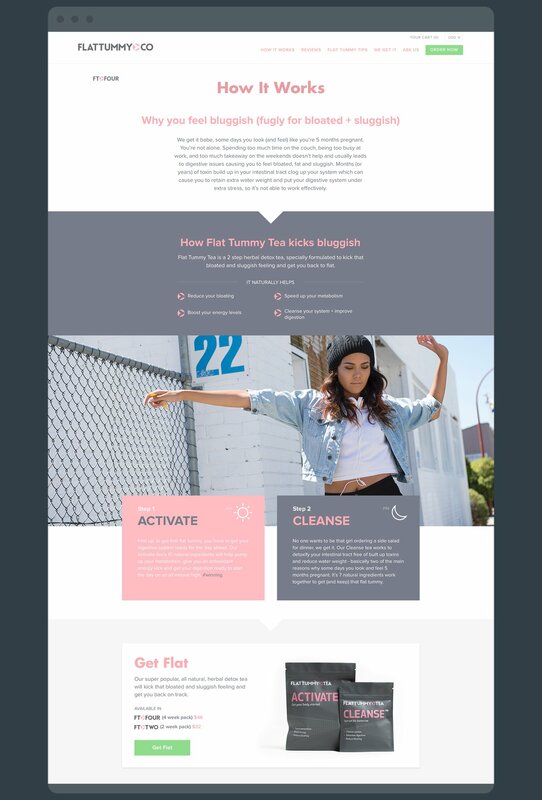 Once the new custom designed interface was deployed, we continued to work with Flat Tummy Co until 2017 as we helped them with ongoing feature enhancements and new design solutions to meet their specific sales and customer engagement objectives. With a goal-focussed approach, we always work towards the incremental increase of sales conversions and customer engagement by adding new features and design enhancements to improve performance with a faster and more intuitive customer path to purchase. 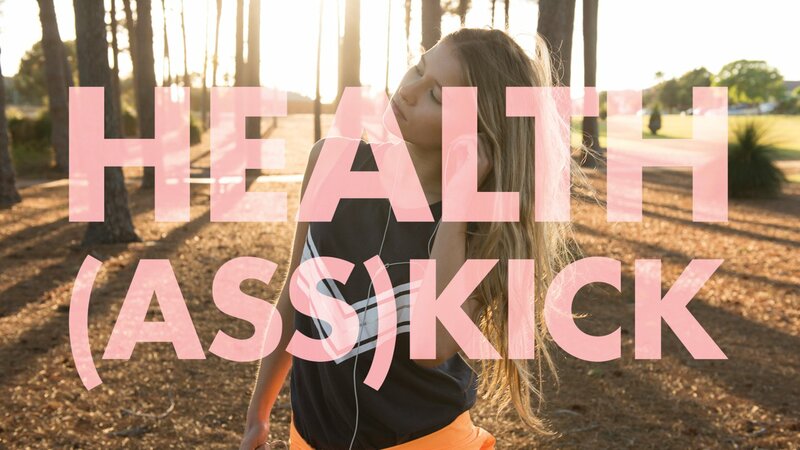 The Flat Tummy Tea project is a great example of an initial engagement that was based on their foundational assets of branding and campaign communications that transformed the way the brand communicated with their market, and also adjusted their approach to their ideal customers. From there, the successful delivery of a custom designed Shopify website built more trust with the client, that led to ongoing projects as the business continued to evolve their approach to ecommerce selling. Where our team can add the most value to Shopify Core and Shopify Plus businesses is with our experience and advice on building bespoke customer journey for specific markets and products to achieve increased brand engagement and growth in sales conversions. We enjoy being involved with fast moving and progressive businesses. So if you are ready to grow your ecommerce business with Shopify, or Shopify Plus, speak to us today because we can help.